Sufferers of asthma and allergies despise dirt and dust. Carpets are impossible to suction entirely clean, capturing dust and re-emitting them through time. Window sills and curtains also passively collect dust, and bumping into them may cause a shower of dust triggering asthma attacks or allergy symptoms to flare. This is a reason many home owners who are keen on keeping dust in the home under control prefer wood or composite flooring material rather than carpets. In a similar vein of minimizing dirt and cleaning in the home, a move from curtains to home tint also applies. Window film blocks much of heat, glare, and best of all window tint does not have to be cleaned. 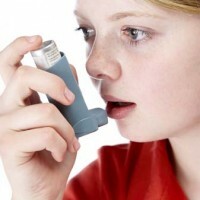 Thanks to Green Ideal for suggesting that home tint is perfect for asthma sufferers.